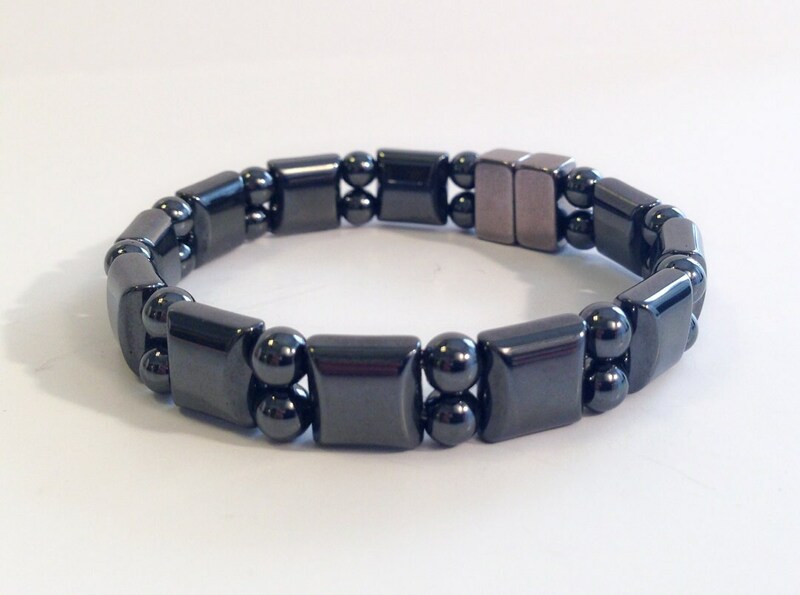 Here's a magnetic hematite bracelet which is double stranded flat watchband style. 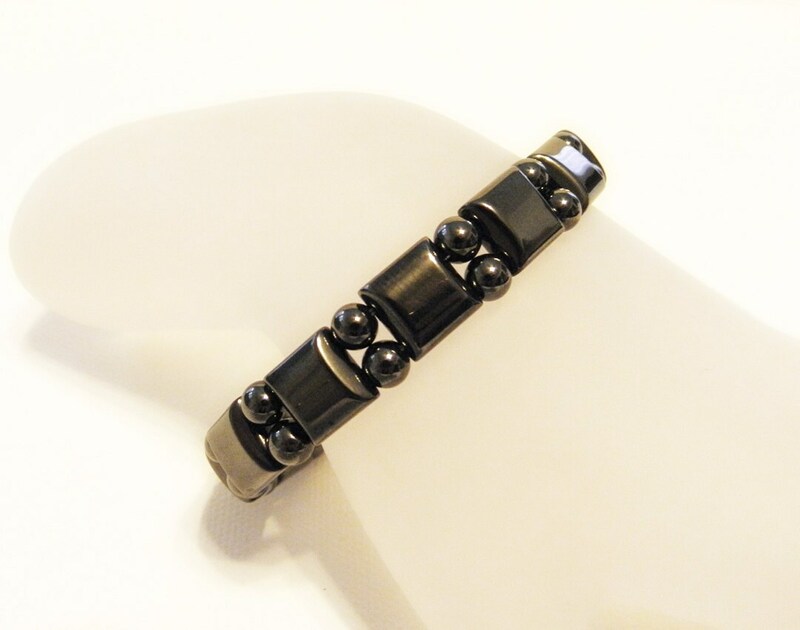 Square beads are 10mm with 5mm round beads between, highly polished in their natural gorgeous color and luster. The style is a great look for men or women and the most comfortable of my designs for everyday wear. The entire piece is magnetic. Looks awesome with casual style or dressed up. 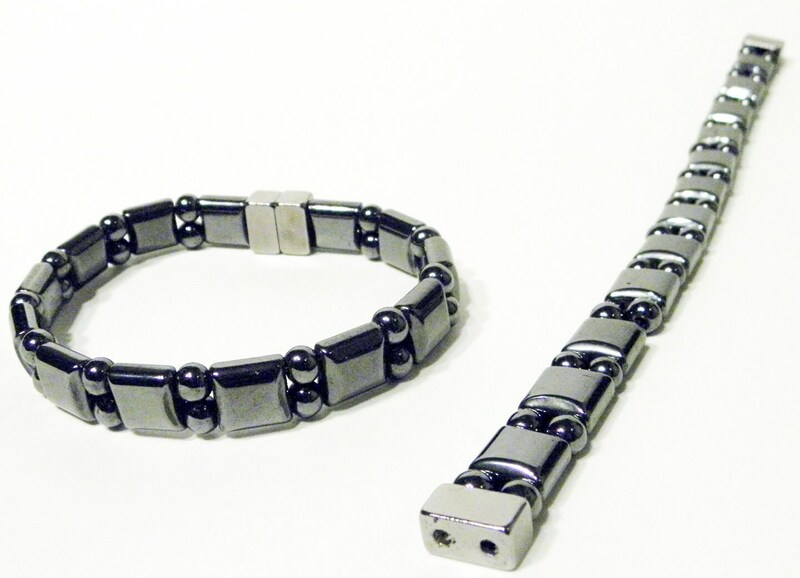 The clasp is a 10,000 Gauss (incredibly strong) neodymium pair of magnets. I use braided stainless steel jewelry wire inside with a special finishing technique which makes my pieces uniquely durable. This was a gift for my husband and he loves it and it fits perfectly. Thank you. I recieved my bracelet today! Super fast shipping! Perfect well made item and i love it! You rock! Will be back!